It’s the middle of the month so I’m linking up with Modern Mrs. Darcy to share what I read last month. I read some good stuff in August! 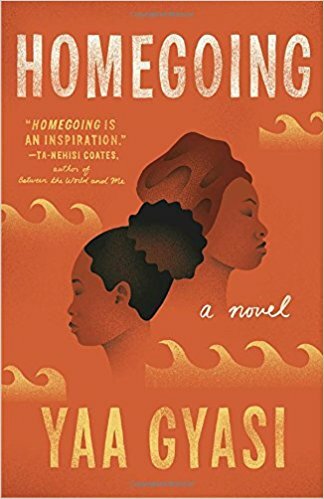 Hands down "Homegoing" was the best thing I read this month. This book was…. I don’t even know if I have the words to properly explain its significance. It follows the lineage of two sisters in Africa starting at the beginning of the slave trade. Each chapter gives a snapshot of the next generation, going back and forth between families. There is a helpful family tree at the beginning of the book that I referred back to constantly. It is so beautifully and powerfully written. Each character could have sustained an entire novel, but the fact that we only got what is essentially a short story peek into their lives just made me want more. Gyasi did an incredible job of tying each generations story together so that you felt like you got resolution to each character’s life. It was in incredibly ingenious set up and the execution was perfect. It’s a powerful, powerful story that needs to be on everyone’s “to read” list. I’ll be honest, I wasn’t eagerly anticipating this one like I have of Hatmaker’s books in the past. 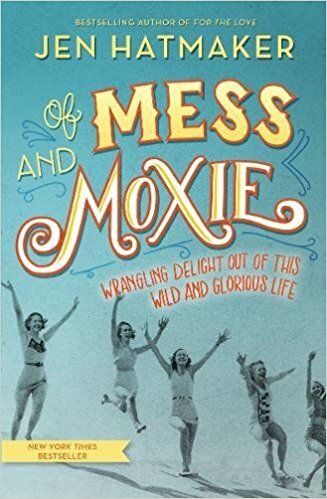 I loved Jen’s books “Seven” and “Interrupted" and I’ve been a long time reader of her blog, but her last book “For the Love” fell kind of flat for me so I figured I’d get around to “Of Mess and Moxie” whenever. I wasn’t on the pre-ordering rush. But after hearing a podcast interview with Jen about the book my interest was piqued and her pre-order incentives were decent so I went ahead and pre-ordered it a few days before it came out. It came to my door on a Tuesday and I think I’d finished it in two days. It is classic Hatmaker, honest, funny, thought-provoking. There was something different about this one though. She’s been through the ringer over the last year with in the big “Christian Industry” and the book reveals a depth and groundedness that I haven’t seen with her. She’s been refined and I found her to be even wiser and bolder, my favorite combination. I shared essays with Tommy, returned to a few later and am still thinking about some. I couldn’t recommend this one more highly. 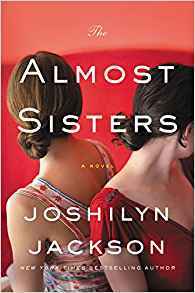 Another surprise this month was “The Almost Sisters.” It was on a bunch of “Best Summer Reading Lists” but the cover was such a turn off for me that I kept avoiding it. Then, a book store owner I follow on Instagram, Annie B. Jones posted about it mentioning that the cover didn’t really fit the book so I added it to my library hold list. When I finally got it I’d forgotten all about Annie’s post and once again found myself so turned off by the cover that it sat on my desk for a week before I finally picked it up. I’m so glad I did! It was a delightful story. I loved the main character and the world in which she lived. It’s a story that takes place in the South is one part family drama, one part murder mystery and one part “woman at a crossroads.” Don’t let the cover (which truly makes absolutely no sense to both the plot and tone of the story) turn you off. Deirdre Riggs’ One: Unity in a Divided World is a beautiful look at how we can be unity and peace makers in this modern era which seems so divisive. I really enjoyed it and hope to entice a few others to read it so I can talk to them about it. The Perfect Stranger is a mystery/thriller in the vein of Gone Girl et all. I liked this one better than Miranda’s previous book “All the Missing Girls.” Anna LeBaron is the daughter of an infamous polygamous cult leader and this memoir, The Polygamist's Daughter, documents her life within the cult and her escape from it. Weird fact about me-I'm fascinated by polygamous cults. I don’t know why, but I will read any and all cult memoirs. LeBaron’s story is fascinating and heartbreaking, but if you’re going to read a polygamous cult memoir I’d read The Sound of Gravel by Ruth Wariner (who happens, weirdly, to be LeBaron’s cousin, though they didn’t know that until both their memoirs had come out). That's what I've got this month friends! What are you reading?